Red Bull has been increasingly scrutinized and was the target of investigation after several injuries and fatalities linked to the energy drink. An $85 million dollar lawsuit was filed this month against Red Bull after a man suffered a heart attack and died soon after consuming the product. This is the first wrongful death claim filed for a Red Bull death. As there have been hundreds of ER cases and other suspicious injuries involving the product, the company is also being investigated by the Federal Drug Administration (FDA). Public health advocates are also concerned about the potential risks faced by consumers. This is another example of a tragic and unnecessary death allegedly caused by a known, dangerous product. Our Boston injury attorneys are experienced in products liability and wrongful death claims. In the event of a fatality, we will review the facts and evidence, identify responsible parties, and take necessary action to protect the rights of victims. We are dedicated to keeping America’s consumers safe and in holding negligent companies accountable. According to reports, the 33-year-old victim was a construction worker who often drank Red Bill to keep his energy up. Witnesses indicated that he drank a can of Red Bull during a basketball game in 2011. His relatives reported that he was healthy and suspect that his death was related to the consumption of Red Bull. 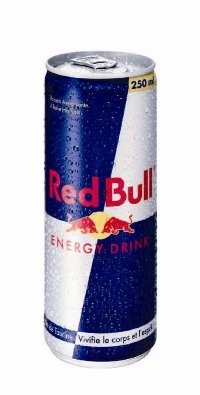 Lawyers for the plaintiffs have indicated that they are hoping the case sheds light on the dangers of Red Bull. There has not been enough attention paid to the reality that the highly caffeinated drinks can pose a risk to health. Companies have continued to add caffeine, taurine, and other dangerous stimulants to energy drinks without properly warning consumers of the risk. Many of these ingredients are not regulated and so the risks are not documented or known. Public health advocates have also voiced concern that the products are more dangerous than the company has admitted. According to government reports, emergency room visits involving energy drinks have doubled in the last 5 years. These product manufacturers have been known to skirt FDA regulations by classifying the additives as “dietary supplements” rather than drinks, which changes the way that they are reviewed. It is suspected that the energy drinks can be a greater risk to younger consumers. Anyone with a prior health or heart condition should also be wary of the potential risks of consuming Red Bull and other dangerous energy drinks. In June, the American Medical Association (AMA) formally endorsed banning the consumption of these products for children under the age of 18. If you or a loved one was injured by a defective product call the Law Offices of Jeffrey S. Glassman for a free and confidential appointment — 1-888-367-2900. Signs a Stryker Hip Implant is Failing, Boston Personal Injury Attorney Blog, August 24, 2013.